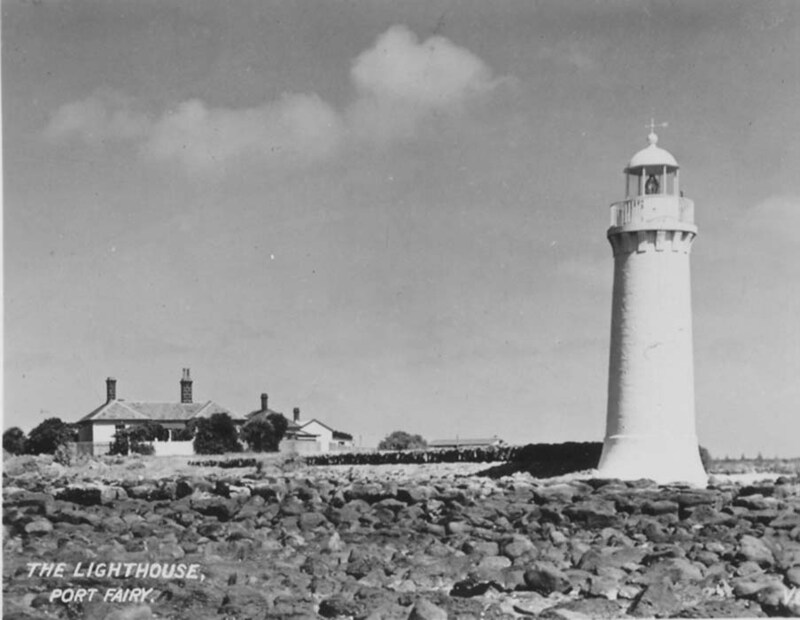 Griffiths Island Lighthouse | Lighthouses of Australia Inc. 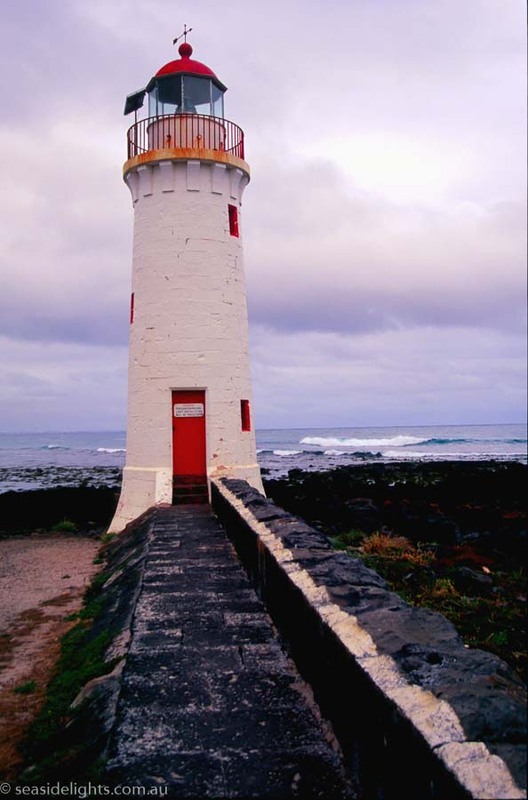 Since 1859, the Griffiths Island Lighthouse it has faithfully guided ship into the security of historic Port Fairy located on the Moyne River. It is located at the end of very scenic 400 metres walk across the island. The Griffiths Island Lighthouse was built in 1859 by Scottish stonemasons out of bluestone. The unique stairway is cut with each step being inserted in the next course of stone in the outside wall. Originally located on an area known as Rabbit Island, the island has since been encompassed by the neighbouring Griffiths Island. Originally a whaling port, historic Port Fairy was a major point of entry for immigrants and trading in Victoria last century. Up to the 1980s it was considered have one of Australia’s largest fishing fleets. The last lighthouse keeper that lived on the island was there from 1929 till 1954. There was one more lightkeeper for a short time before the light was automated. The lighthouse grounds are open all year round. The tower is not open to the public. The island and lighthouse reserve is accessible to the public. It is a 400 metre walk across to the southern tip of the island. Tours are available on special occasions, but infrequently.